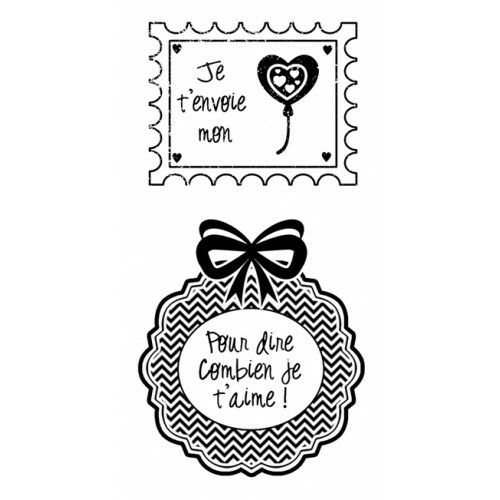 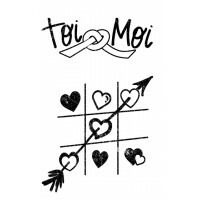 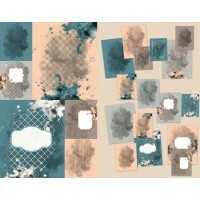 Sheet of 2 transparent stamps from the collection "Plaisir d'aimer" from the French company ‘Lorelaï Design’. 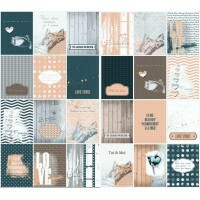 Stamp sheet measures 7 x 9cm. 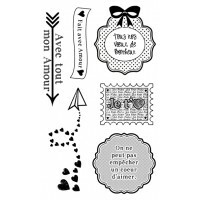 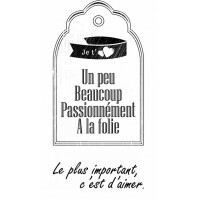 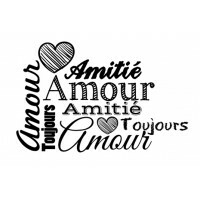 8 journaling cards size 3"x4" (7,5 x 10cm) co-ordinating with the "Plaisir d'aimer" collection ..
12 journaling cards size 3"x4" (7,5 x 10cm) co-ordinating with the "Plaisir d'aimer" collection..
Sheet of 2 transparent stamps from the collection "Plaisir d'aimer" from the French company ‘Lo..
Sheet of 6 transparent stamps from the collection "Plaisir d'aimer" from the French company ‘Lo..